I try to keep that in mind in each day…. and the needs of varying situation…. 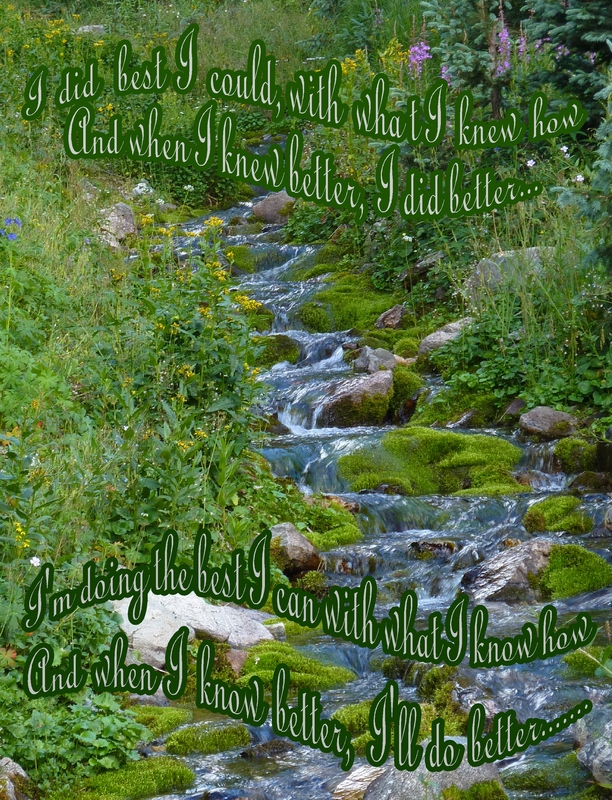 someday I might have more insight and skills..
And when I know better, I’ll do better…. smooth pools at other times…. This entry was posted in Acceptance, Life and tagged Acceptance, Appreciation, Encouragement, Inspiration, Kindness, Life, Mindfulness, Motivation, Wisdom. Bookmark the permalink. beautifully said. it’s wise to remember this for ourselves and for all those with who we interact on any given day. Somehow it frees us from holding grudges as well as frees us to keep trying. yes…. 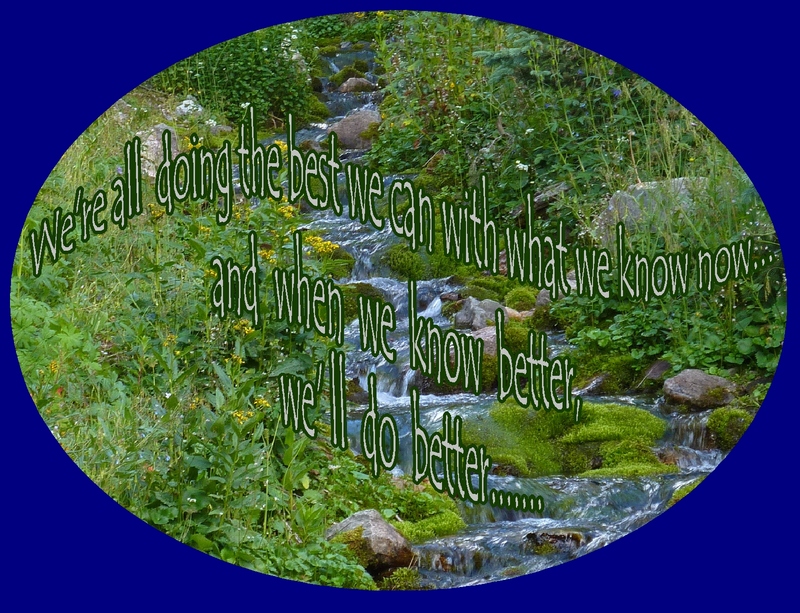 as you say….for ourselves and others we interact with… to keep on trying. Yes….double intentions in this idea…myself and others around us too…patience can be elusive for me at times, too. I spent the day in a “loving kindness” teaching/day….good reminders for me to nurture that more positive perspective…. Pocket, no wiser or finer woman of recent eras than Miss Angelous to paraphrase when it comes to our modern methods of coping with life itself! Very fine repost! Thank you! She is a remarkable woman…a real inspiration! Love it…how true it is. Wish I knew how to put words on graphics the way you do, really makes the statement powerful.